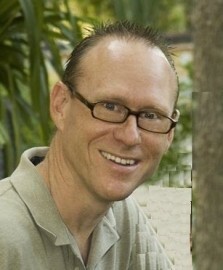 A native Central Texan, Tom Darilek, LMT, MTI, CEP, completed his BA in philosophy from The University of Notre Dame and worked in healthcare related fields for several years before pursuing studies in massage therapy from David Lauterstein and John Conway (founders of the Lauterstein-Conway Massage School) at The Texas School of Massage Studies. Practicing since 1988, Tom’s specialties include the treatment of musculo-skeletal injuries and chair massage. He is one of only 3 therapists in Austin certified in “Musculoskeletal Injuries: Evaluation and Techniques” from Ben Benjamin’s Muscular Therapy Institute in Cambridge, Massachusetts. Tom received his initial chair massage training in 1990 from Iris Lee of On-site Enterprises founded by David Palmer, the creator of contemporary chair massage. In 1995 Tom founded Seize the DaySM Chair Massage Service and introduced the non-interrupted service approach; continually recruiting, training and managing a team of chair massage professionals serving hundreds of businesses and organizations (not to mention countless individuals) in the past 17 years. Possessing a strong interest in there being a highly skilled community of massage therapists in Austin, Tom is committed to be among those providing the highest quality continuing education.